Data is playing an important role in the market. Businesses are using big data to analyze risks and failures. Tools like Hadoop and cloud-based analytics reduce time to analyze data and helps to get insights to know the customers’ needs. This results in the development of new products. Even current market needs can be determined with the help of Big Data. All these reasons pave way for Big Data Companies. Microsoft is one of the top data analytics companies. It was established in 1975 and is the software programming and product form that has made it big with the big data approach. Their business with Hortonworks provides HDInsight tool for analyzing organized and unorganized data on Hortonworks data platform (HDP). Microsoft Analytics Platform System– It offers data integration, query processing, storage, and maintenance for end-to-end business intelligence solutions. HDP for Windows-It can be installed on Windows server, virtual machine or physical hardware in the cloud. Google was founded in 1998 and provides integrated and end to end Big Data solutions. It helps the various organizations to capture, process, analyze and transfer data on a single platform. It is another data analytics company that uses BigQuery to analyze a huge set of data quickly. The advantage of BigQuery is that it is serverless, fully controlled and low-cost business data repository. It is a cloud-based data processing service for both batch and real-time data streaming applications. It is a cloud-based managed Spark and Hadoop service offered on Google Cloud Platform. IBM is the largest merchant for Big Data related products that offers storage and server hardware, analytics applications, database software, and related services. It uses a network of many computers to solve problems involving massive amounts of data. It enables organizations to analyze multiple data streams from many sources. It helps the organizations to analyze and locate information across the business. Founded in 1994, Amazon is renowned for its cloud-based platform. It offers Big Data products and its main product is Hadoop-based Elastic MapReduce. They use Amazon Web Services to deploy big data analytics applications. AWS helps to gather, analyze, store process and visualize big data on the cloud. SAP was established in 1972 and provides a variety of Analytics Tool. 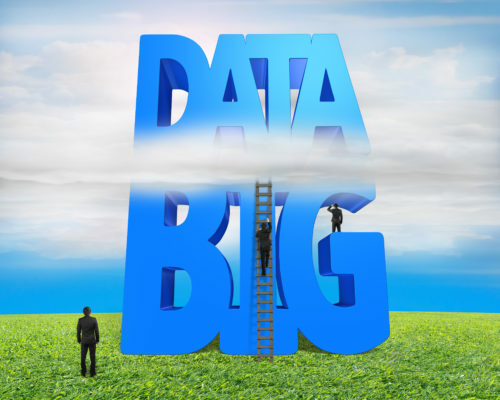 A huge amount of Big Data can be turned into real-time insight with Hadoop. It facilitates distributed data storage and high-level computation skills. It enables organizations to analyze large data sets and predict future outcomes and behaviors with the use of a predictive algorithm and machine learning. It is a relational database software system used for business intelligence and data warehousing. It consists of the applications that allow users to discover data, perform analysis, derive insights and create reports that visualize the insights. It is of great importance to know that these Big Data Companies hire individuals who are certified and are trained enough to carry out the operations that can benefit their business. In order to meet the goals of the business, it has become vital to get certified. Data Science Council of America (DASCA) offers Big Data Engineering Certifications, Big data Analytics Certifications, and Data Scientist Certifications. These certifications will gear you up for the big positions in the big data analytics companies. Who doesn’t want a high-paying job after all?